Spore revolutionized god games with its unique evolve-adapt-and-survive concept. Combining multiple genres like real-time, action and RPG, the game allowed players to control a microscopic creature and help it evolve from a simple one-celled organism to an intelligent interstellar traveler. The game was received positively by critics for its distinctive and open-ended gameplay. Named in honor of the Father of Evolution, Darwin Pond is not just a game. It’s an artificial life simulator that lets you interact with wiggly creatures (called “swimmers") by building your own scenarios. Treat Darwin Pond as a virtual gene pool, where you can add creatures, zoom-in and watch creatures survive and evolve. You can participate in this “virtual petri dish" by creating different environments and modifying/cloning their genes to test how they survive and evolve in different conditions and physical characteristics. A virtual world full of complex creatures is a great way to know how creatures evolved. Every “swimmer" has a different way to get around and discover ways to survive and evolve. Nature lovers and students who want to learn more about Darwin’s origin of species and life’s intricacies will love this artificial life simulator. While the visuals may be quite primitive compared to today’s video games (Darwin Pond was released for the PC way back in 1997), the concept is very unique and simulation smooth enough without any glitches. The way you zoom-in to watch creatures move, consume food and survive seems more like zooming-in from a microscope. Darwin Pond was designed by Jeffery Ventrella and a bunch of geeks at the now defunct Rocket Science Games Inc. 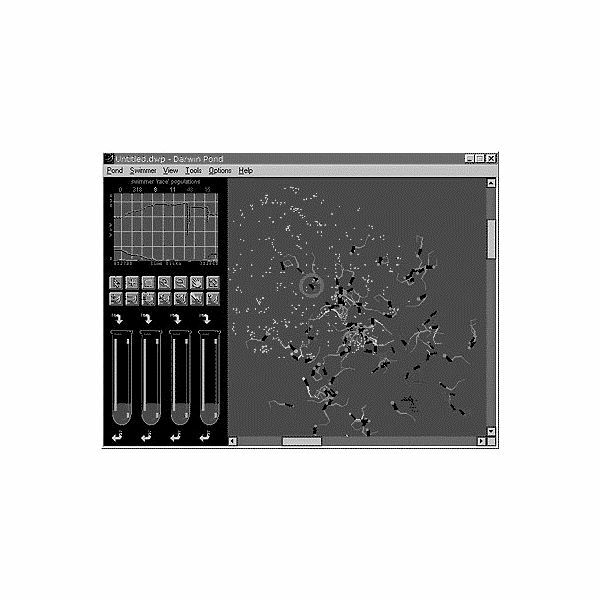 It was developed as a project to research artificial life and later transformed into a product. Now it is available free in two versions: Simple with minimal PC requirements and an updated version with smoother, better visuals. The updated one is a trial version and so I would recommend downloading the simple version that’s complete and totally free without any limitations. This fun avoider game simulates the life of the tiny one-celled organism and lets you control it to help survive the brutal, virus-infested environment. You will have to move the amoeba by collecting glucose cells and avoiding any green viruses that prevent you from consuming food sources. The small virtual petri dish also has power-ups that can be used against the deadly viruses. You can stun, slow, shrink or just kill them if they come in between you and your food. Amoeba is somewhat like Pac-Man, although players may find some traces of the Spore concept present. But then the game does not have that survive-and-evolve element and is a plain avoider game that borrows some elements from the mobile version of Spore. 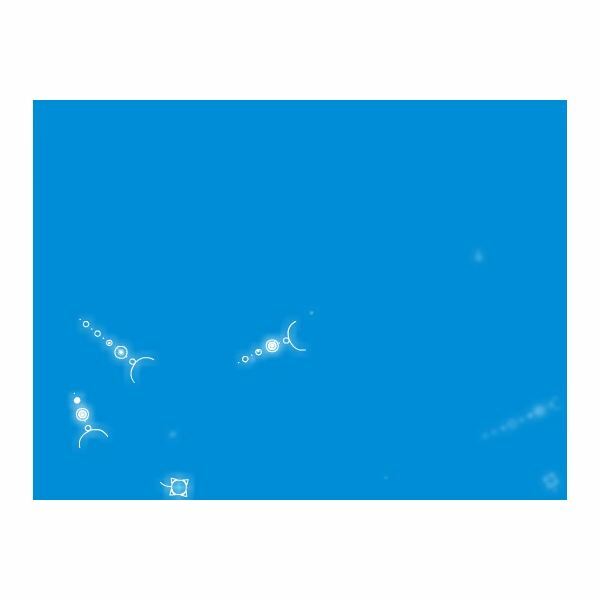 Nonetheless, Amoeba is a nice addictive game and is a must-play online game if you are a true fan of Spore-like games. Flow’s stunning visuals makes it look more like a piece of art. This flash gem is a gorgeous online version of Spore Origins. The objective is to survive an aquatic environment filled with complex creatures by moving a worm-like creature through different planes and consuming lesser developed organisms when they are nearby. In Flow, players will also have to avoid being the prey of advanced multi-segmented organisms. These creatures can be eaten as well, but in smaller portions. Because of their large size, it does pose a challenge to your creature to eat them up, but once they perish, they release smaller cells that can restore the creature’s health or make it grow larger temporarily. Consuming some cells may develop complex, but beautiful tentacles within the creature’s body. Flow has beautiful graphics. The aquatic background as well as the complex multi-segmented worms are simply gorgeous. The game is not a life simulator, and neither does it have any menu choices. It’s a plain arcade game that allows you to wade through a watery environment and survive by eating organisms and avoid being eaten up by others. 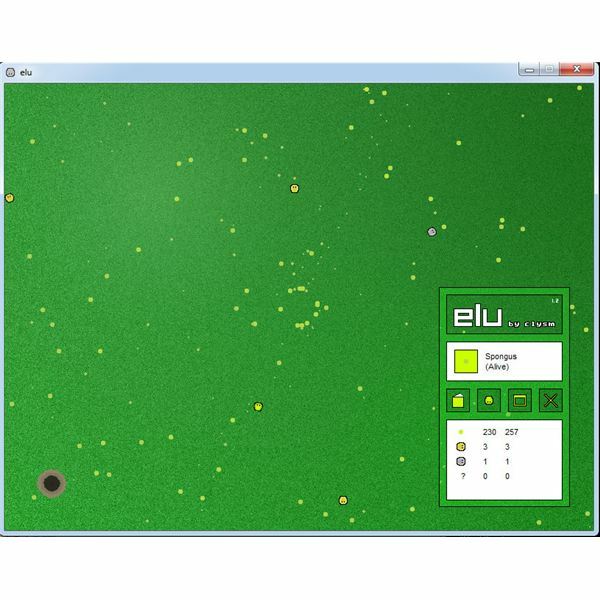 Elu’s strength lies in its real-time life simulation concept. More like Darwin Pond, this artificial life simulator has a variety of species evolving and surviving different climatic conditions that try to make it difficult for their survival. You can watch creatures evolve or you take part in the evolution process by creating a special green Metrite. After creating one, you can move the creature with the arrow keys and plant special seeds by pressing the CTRL key. The seeds will sprout and will be the food source for your metrite. With diverse programmed behaviors, other creatures interact, eat and die onscreen. There’s also a snake that springs up from a hole at the corner of the screen and eats up creatures. 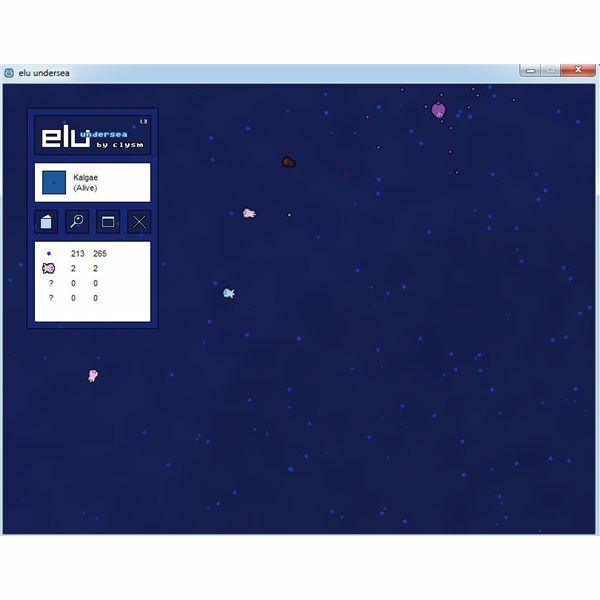 The life simulation in Elu is smooth, without any boring repetitive behavior. Creatures evolve, interact and die because of the prevailing conditions and their behavior does not look to be pre-programmed in any way. You can leave the game running for an entire day and watch new creatures evolve and weak creatures lose their battle for survival. The game’s not as in-depth as Darwin Pond, but still has a nice concept and is fun to play. The visuals are colorful, although I was searching for a zoom-in option to watch how creatures interact much closer. If you like Elu, chances are that you may love the Elu Undersea expansion pack. In this game, different species evolve and survive underwater. The game has more variations, including an arcade mode that allows you to unleash plague-infected organisms, which infect healthy creatures on contact. You can then disinfect creatures on contact. The infected creatures are unleashed randomly when you press a menu button. Once you free them from infection, you move on to another level where the infection takes place more rapidly. The arcade mode is fun, but the real strength is the life simulation concept present in the original version. Elu Undersea's visuals are much polished and have a nice cartoony look than the previous versions. All in all, Elu is one of the best games like Spore and is more interesting than mobile version of the game.